When Elastic Load Balancing is used for e-commerce and enterprise applications , securing the communication channel becomes an essential. Critical customer , payment info etc cannot be sent over the HTTP protocol in clear over the internet. To address this need , HTTPS/SSL has been widely used in the internet. HTTPS protocol secures the communication between the Client (Browser etc) and the Server side. In case of multitiered distributed Systems SSL can be offloaded at various levels. 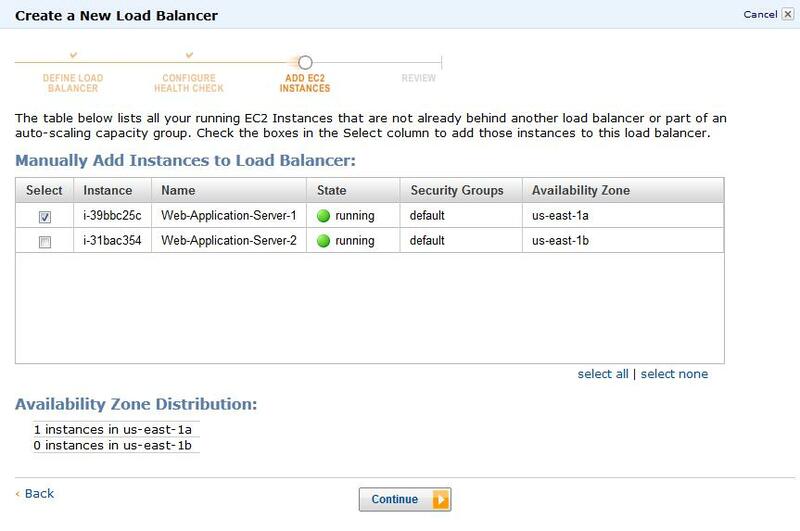 some of the commonly used offloading layers are Load Balancers and Web servers. In this article we will see how to configure ELB to offload SSL . 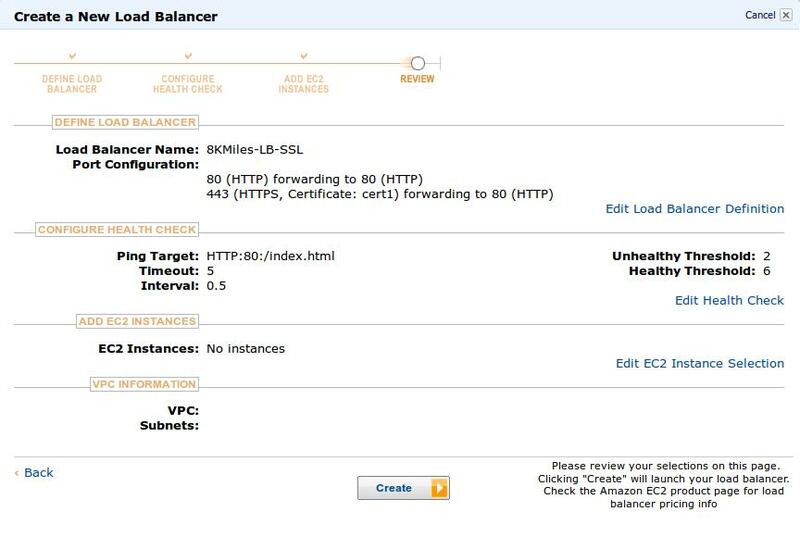 The SSL server certificate used to terminate client connections can be managed centrally on the load balancer, rather than on every individual application instance. 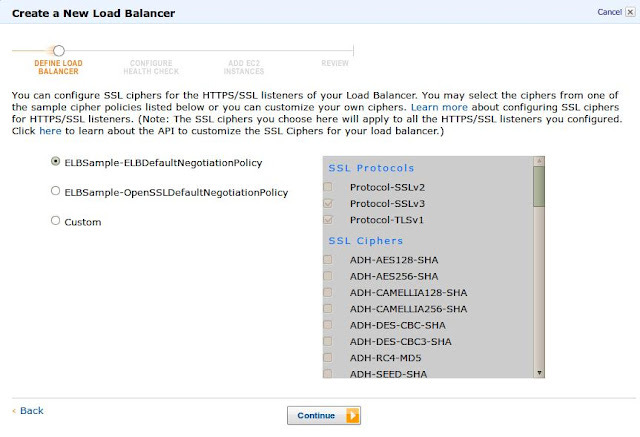 The work of encrypting and decrypting SSL traffic is moved from the application instance to the load balancer. The load balancer can ensure session affinity or "sticky sessions" in this documentation, by terminating the incoming HTTPS request and then re-encrypting the content to send to the back-end application instance. 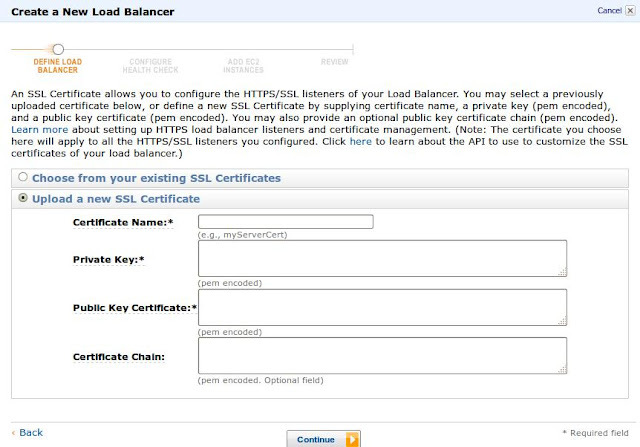 An SSL Certificate allows us to configure the HTTPS/SSL listeners of your Load Balancer. We can select a previously uploaded certificate , or define a new SSL Certificate by supplying certificate name, a private key (pem encoded), and a public key certificate (pem encoded). we can also provide an optional public key certificate chain (pem encoded). (Note: The certificate you choose here will apply to all the HTTPS/SSL listeners you configured. We cannot use the name of the expired certificate. Certificate Chain is optional. If you are using Certificate Chain, then you must order the certificates such that the root certificate is the last certificate in the chain. If you use a certificate chain in a different order, you will receive an error. 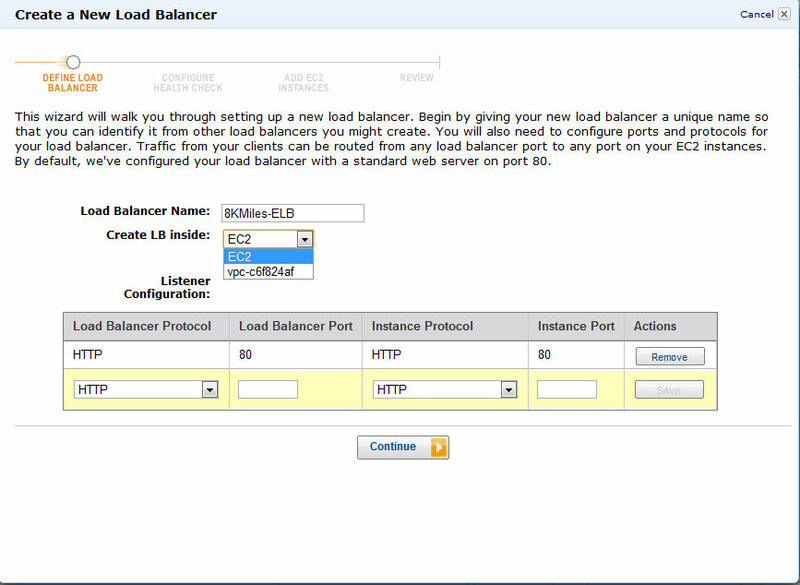 Elastic Load Balancing configures your load balancer with a pre-defined cipher set that is used for SSL negotiation when a connection is established between a client and your load balancer. The pre-defined cipher set provides compatibility with a broad range of clients and uses higher strength cryptographic algorithms. However, some use cases may require that all data on the network be encrypted and allow only specific ciphers: and protocols from clients in order to meet certain standards (such as PCI, SOX, etc.). 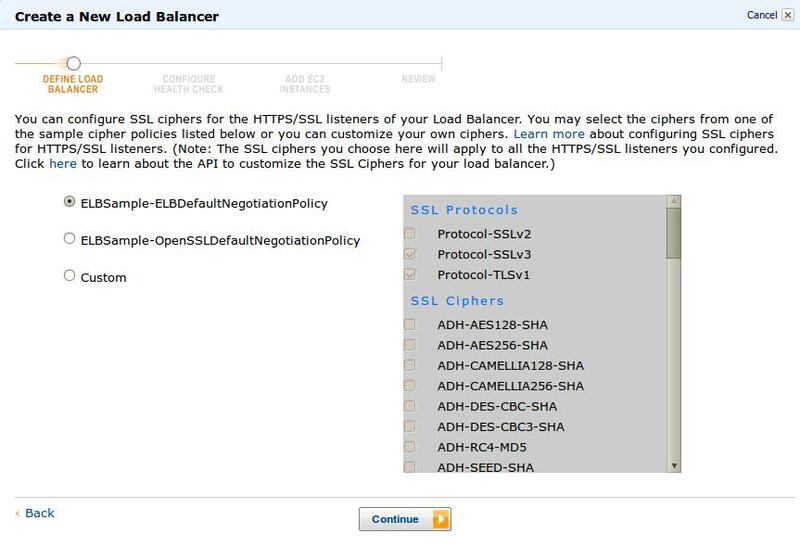 In such cases, Elastic Load Balancing provides options for you to select different configurations for SSL protocols and ciphers. There are at least three protocol suites in use (SSLv2, SSLv3 and TLSv1), which between them support tens of different crypto algorithms with different strengths. Not all of those are still suitable for serious use today. This is the default Negotiation policy. Protocols supported are SSLv3.0 and TLSv1.0. Ciphers supported are AES 128/256 -SHA , RC4 -MD5/SHA and DES-CBC3-SHA. AES is a block cipher algorithm and is "supposed to be more secure" and RC4 is the "fastest" stream cipher algorithm , for performance it is suggested to use RC4 with small RSA key size and for security use keys size > to 2048bits. Most Software load balancers including Amazon ELB performs poorer when it has to work with bigger key size. The OpenSSL Project is a collaborative effort to develop a robust, commercial-grade, full-featured, and Open Source toolkit implementing the Secure Sockets Layer(SSL v2/v3) and Transport Layer Security (TLS v1) protocols as well as a full-strength general purpose cryptography library. Protocols supported are SSLv3.0 and TLSv1.0. "44" Ciphers including AES/RC4/DES/DHE etc are supported in this policy. When you select custom option by default all the ciphers options chosen by previously clicking ELBDefaultNegotiation (or) OpenSSLDefaultNegotiationPolicy are in selected state. On the protocol side , SSLv2 is strongly discouraged due to vulnerabilities , To be on the safe side we recommend to explicitly disable SSLv2 ciphers, so they cannot be reintroduced later: AES is a block cipher algorithm and is "supposed to be more secure" and RC4 is the "fastest" stream cipher algorithm. On the Cipher side the weak candidate is the DES algorithm. Although it was never cryptographically broken, it’s key length of 56 bits made it increasingly more vulnerable to brute force attacks as faster CPUs became available. Since the Electronic Frontier Foundation demonstrated a custom-built DES cracker in 1998, and able to brute-force a DES key in under two days, DES has been effectively dead. But, for compatibility reasons, OpenSSL is, by default, willing to negotiate DES as a cipher. 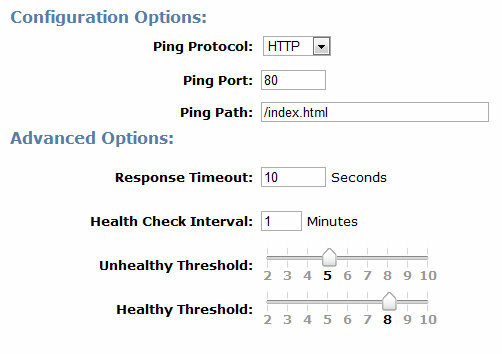 Healthy Threshold : Specifies the number of consecutive health check success before declaring an EC2 instance healthy.The value that can be configured should be between 2 -10. It is an typo. Thanks , I have corrected.